>Dreaming of a Goth Christmas? > Will someone on your Christmas list be hanging up an artfully torn black lace stocking this year? If so, you’ll need something more than licorice whips to fill it. 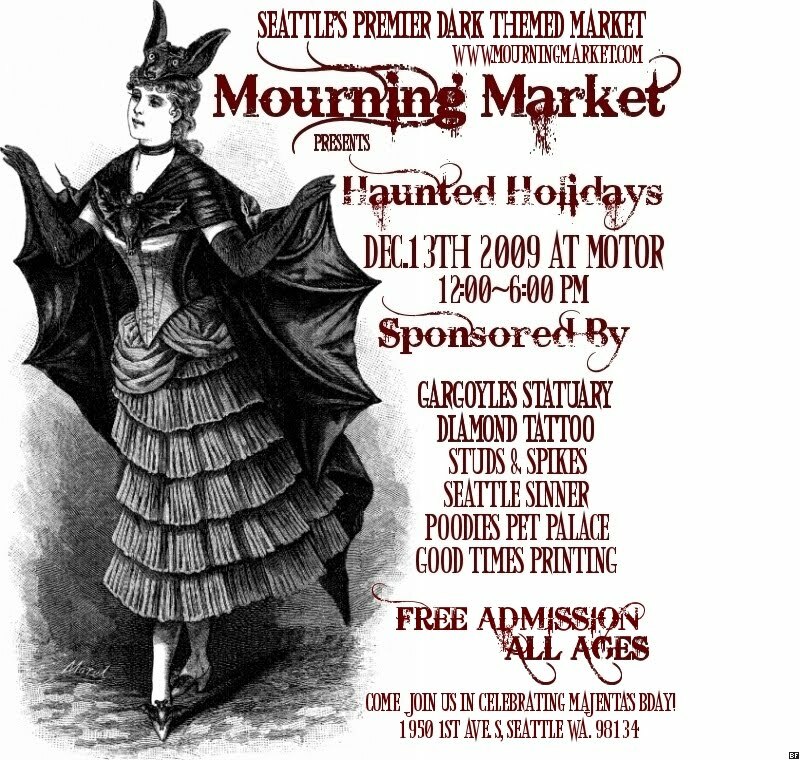 You’ll want to check out the “Haunted Holidays” sale at Mourning Market, “Seattle’s premier dark-themed market” Sunday, Dec. 13, noon to 6 p.m., at Club Motor, 1950 1st Avenue in Seattle. Vendors include Gargoyles Statuary, Diamond Tattoo, Studs & Spikes, Seattle Sinner, Poodies Pet Palace, and Good Times Printing. The event is described as “all ages” so the only thing in danger of coming away bruised is your wallet. This entry was posted in Uncategorized and tagged Christmas shopping, Mourning Market. Bookmark the permalink.